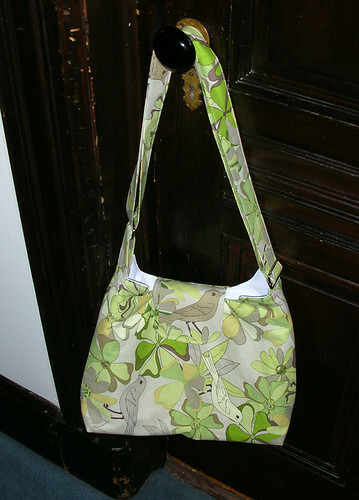 My green bird Mabel messenger bag is done! Fabric: Leftover from my Mixtape Quilt. And of course I forgot to write down what it was at the time. Alterations: I added a flat-applique’d on pocket on the interior, which will be nice for being able to locate pens and pencils and small things quickly. 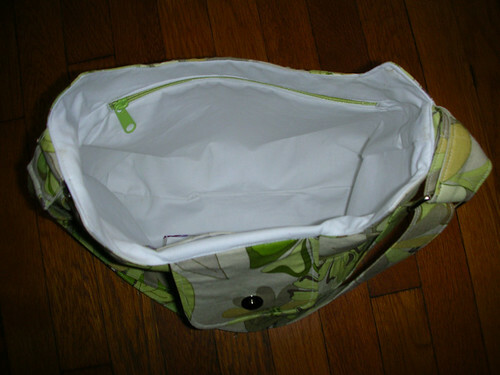 I also top-stitched around the edge of the bag once I was done ironing in the hopes that that will help it stay a little bit crisper in the long run. This was a pretty straightforward pattern. A little dense in places, so reading the whole thing first was definitely a good idea! I managed to attach the straps wrong the first time, and had to un-pick and re-attach them, which was a little annoying. But there were pictures for all the steps that I might have been confused by, which was nice. 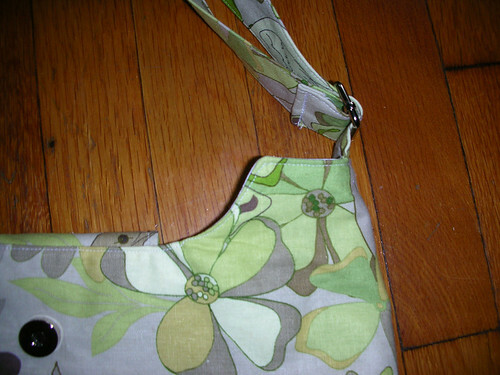 Only one oops: when I put the lining in, I forgot to check which side the zippered pocket was on. 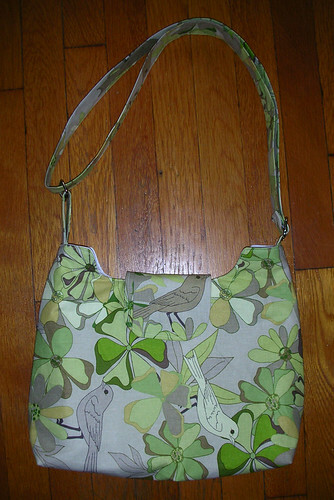 Usually (at least, I think usually) the zippered pocket is on the back of the bag — in this case, the side the closure flap is sewn to. Here? It’s on the other side. Oops. Overall, I’m pretty happy with how it turned out. Linking up to Thank Goodness It’s Finished Friday, which is hosted at Missy Mac Creations this week! 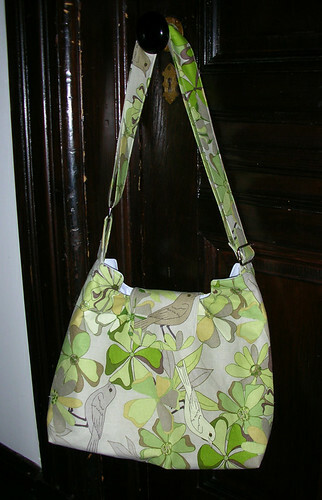 Next up in the bags queue is a second Mabel messenger bag, in Perk Me Up. 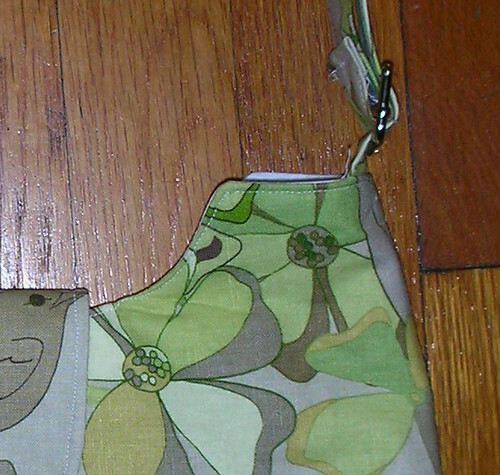 I still haven’t entirely decided on how to use the fabrics, but I’ve got a little while to play with ideas yet. Yep – it turned out super pretty. I just *love* those birds.